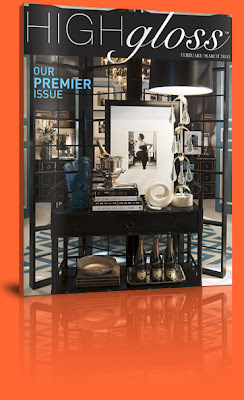 Wolfe Design House: High Gloss Magazine! Congratulations to the lovely ladies who launched the premier issue of High Gloss Magazine yesterday! We think this online publication is fresh and fun with an eclectic flair! Bravo!